E Mails Reveal Role Of Swatek Firm In Yellowhammer News » Mr. Dunn Goes to Montgomery | Who's Behind the Mask? Cliff Sims, president and chief writer of Yellowhammer News. Note: This was published on my site in March 2014. It remain highly relevant to my ongoing investigation into the secretive efforts by Alabama Power to remove Terry Dunn from the Alabama Public Service Commission and pave the way for a rate increase. On July 1, 2013, Cliff Sims, the head of the popular and influential conservative site Yellowhammer News, wrote to “Ghost Writer” asking that he review a script for a video on coal that Sims and Yellowhammer were working on. The good guys were PSC President Twinkle Cavanaugh, commissioner Jeremy Oden and NASCAR star Dale Earnhardt Jr.
After Ghost Writer reviewed the script, they could “either show it to Dax for his feedback or give it to the video guy,” Sims wrote. “Ghost Writer” was revealed by his e-mail address as Tim Howe, a member of the Montgomery lobbying and political consulting firm of Swatek, Azbell, Howe & Ross. The Dax referred to in the e-mail would be Dax Swatek, another member of the firm. The e-mail — one of several recently provided to me — is revealing for several reasons. It and other evidence suggest that Yellowhammer News, as Montgomery insiders have long suspected, is connected at the hip with Swatek, Azbell, Howe & Ross and, it would seem as well, to Republican Speaker of the House Mike Hubbard. SAHR Group, as it also calls itself, has risen to prominence in no small part because of its close personal and professional ties to Hubbard. In fact, the firm has for many years now been the recipient of a $96,000 a year state contract to “provide strategic communications and public relations services” to the Republican members of the House of Representatives. The following is from the Swatek, Azbell, Howe & Ross website. I’ve put in bold the clients relevant here. SouthernLINC wireless is one of Alabama Power’s sister companies in the Southern Company. The firm has served as a lobbyist or consultant to numerous corporate entities including Fortune 500 Companies, state and national associations and Alabama based corporate leaders. Current clients include: The Alabama Power Company, Southern Company, Community Health Systems, HealthSouth, The University of West Alabama, SouthernLINC Wireless. Here is the entire e-mail from Sims to “Ghost Writer” describing Dunn as one of the “bad guys” and his fellow commissioners Cavanaugh and Oden as “good guys. I’ve emphasized some parts with bold type. – This effects 5,000 coal industry jobs in Alabama directly, touches everysingle person with a power bill because electricity rates will skyrocket,and also effects jobs all over the state. *Opening concept:* We’ve been watching this on our television and seeing it happen in other parts of the country. Our conservative leaders are fighting this nationally: Richard Shelby “this is insane” quote, etc. Shots: Gary Palmer, President of the Alabama Policy Institute, and PaulReynolds, Republican National Committeeman and Chairman of the Alabama FreeMarket Alliance, are interviewed, explaining the issue and why it’s important to every Alabamian. Shots: Fox News clips and newspaper clips from when they shut down 15 coal-fired plants in Georgia. *Next:* Hard contrast between good guys & bad guys. Crazy environmentalists vs. Alabamians working hard, trying to make ends meet. – find quotes from Alabama Environmental Council and Southern EnvironmentalLaw Center press releases, clips of Greenpeace, etc. No doubt many who read Yellowhammer go there for its Tea Party conservative take on Alabama politics. Those in the know — which is to say, people who follow state politics at all closely — accept as a given that Yellowhammer is connected to House Speaker Mike Hubbard. 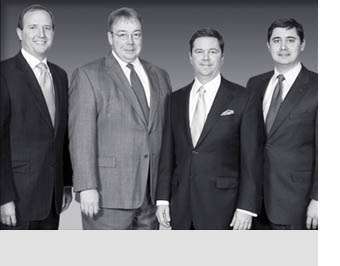 Sims worked with members of the Swatek firm during the 2010 campaign season, and in 2012, Hubbard appointed Sims to the “Speaker’s Commission on Alabama Values and States Rights.” The panel was formed to ensure that issues important to Alabama conservatives were given prominent attention during the 2013 legislative session. Hubbard’s arrangement with Yellowhammer — which provides him with substantial public relations support and allows him to help supporters and harm enemies — is a major state political story. What exactly is the nature of it? It may well be a national story. Is there any other politician, on a state or national level, who — or so it certainly seems — has what amounts to his own “pro-him” media outlet? It is a story the state media apparently will not touch. For my emails to Sims and Swatek Azbell Howe & Ross, Go Here. To read my questions to Speaker Hubbard, Go Here. Doing such a story would require reporters to ask Hubbard as well as members of the Swatek firm about Yellowhammer. Then, it would require the likes of the Al.Com papers (Birmingham News, Mobile Register, Huntsville Times) or the Montgomery Advertiser to acknowledge the existence of Yellowhammer News. They are clearly not up to that task, preferring to pretend that Yellowhammer News (as well as the AEA-influenced Alabama Political Reporter) doesn’t exist. Yellowhammer News is blatantly fawning in its fawning coverage of Hubbard and of those loyal to and associated with the speaker, as well as clients of the Swatek firm. The publication’s guiding principle: Never, ever write anything remotely negative about Hubbard. Always — always — praise him to the high heavens. And Terry Dunn? Same rule, but turned on its head — always bad, never good. If this is the future of political journalism, we are all in trouble. For the past three years, Yellowhammer has published what it calls the, “Power & Influence 40,” ranking the 40 most powerful people in state politics. Those on the list include “elected officials, lobbyists, consultants, staffers & political insiders from every corner of Alabama state politics” Ranked first in 2013 was Gov. Robert Bentley, and, second, Hubbard. Hubbard has been ranked the second most powerful person in state politics, behind the governor, the past two years. In 2012, the first year of the “Power & Influence 40,” he shared the top spot with Bentley. Here’s what Yellowhammer had to say about Hubbard in the 2013 entry. I e-mailed questions to Sims, along with some of the e-mails I’d been provided, including the one above. I received a response (the letter and his response is at the bottom of this page) After receiving his response, I e-mailed questions to each of the four members of SAHR Group. They did not respond. As you will see, Sims elected not to answer most of my questions. As for working with Howe, he stated that he/Yellowhammer hired Howe. Eddie – when I decided to do my first “Yellowhammer TV” video, I approached Tim to help. We worked together on a campaign in 2010 and he produced some of the best TV ads of that cycle. I’d never produced a video, so I hired him. I also knew I would be out of the country on a mission trip the week leading up to when I wanted the video done, so I couldn’t be as hands-on during some of the process as I wanted. I think hiring Tim was well worth it. The video has been viewed almost 50,000 times. The cameraman told me he was hired by Sims, first for work in 2012 on a video about Yellowhammer, and the next year for the coal video and other assignments. But it was the Swatek firm, not Yellowhammer, that paid him $2,500 for his work on the “coal video” and a related video on Yellowhammer, and $1,000 for the 2012 Yellowhammer video. It seems odd that Yellowhammer would hire Howe, then have Howe’s firm pay the cameraman. Additional documentation shows that the Swatek firm paid the cameraman for his 2012 video about Yellowhammer. I’d like to be able to report where Yellowhammer gets its funding, and to the degree it comes from the Swatek firm. At this stage of my reporting I don’t know the answers to those questions. Certainly I do not believe that Yellowhammer “hired” Howe. There are other e-mails provided to me that reflect the editing process of the video called, “The War On Coal, and which came out on Yellowhammer’s web-site on July 16. Much of what’s in the script is in the final product. What’s not is any reference to Cavanaugh, Oden or Dunn. But the day after “The War on Coal” came out, the PSC held one of its public meetings about Alabama Power. Footage taken at that meeting was used to make the Dunn as Bad Guy message, and Cavanaugh as good. That video, called, “Environmentalists Protest at Alabama PSC,” was posted on Yellowhammer’s site the day after the meeting. It was on Yellowhammer’s Home page for seven months. It’s still on the site, and can be viewed Here. The video is still on the site, though. To see it, and the accompanying story, Go Here. Pictures from the protest — and specifically, shots of the “We Love Dunn” poster — have been used to great effect by Yellowhammer News, the Alabama Coal Association and others to falsely link Dunn to “radical environmentalists. Below, two examples from Yellowhammer. From left to right, Tim Howe, David Azbell, Dax Swatek, and John Ross. Lastly, a a sweet tweet from PSC President Twinkle Cavanaugh.